KATY PERRY: PART OF ME 3D, London Fans Get Treated! “Katy Perry: Part of Me 3D”- London Fans Get Treated! Katy Perry surprised fans inside a London theater at a recent screening of her new film titled “Katy Perry: Part of Me”. Watch video of her interacting with the mostly female fans and clips from the movie! 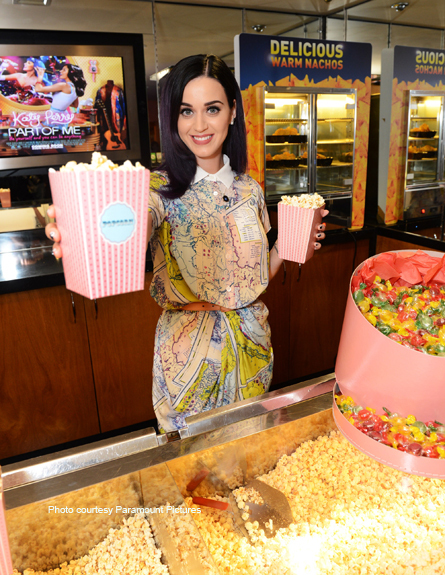 Katy Perry serving-up popcorn at her London screening. 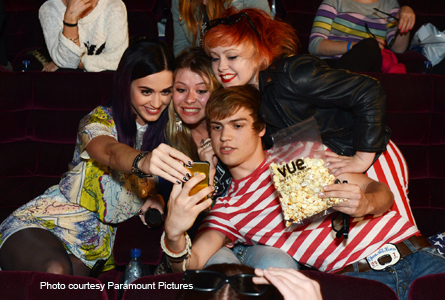 Katy Perry captures photos with fans at London screening. 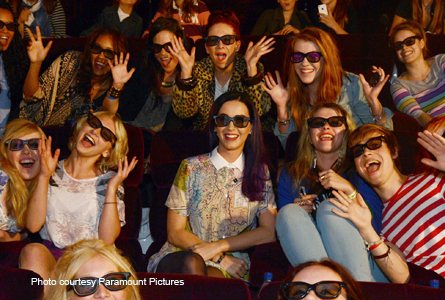 Katy Perry watches 'Part of Me' screening in 3D with fans. The cast of “Katy Perry: Part of Me” includes: Katy Perry (as herself / Kathy Beth Terry), Shannon Woodward (as herself), Lucas Kerr (as boyfriend), Rachael Markarian (as herself), Mia Moretti (as herself), Glen Ballard (as himself), Johnny Wujek (as himself), Tasha Layton (as herself), Angelica Baehler-Cob (as herself), Bradford Cobb (as himself), and Adam Marcello (as himself). Coming soon from; Insurge Pictures, Pulse Films, AEG Live, Imagine Entertainment, MTV Films, and Paramount Pictures. Rated PG for; some suggestive content, adult language, and brief smoking. Limited Sneak Peek on Monday, July 2, 2012. Opens in theaters everywhere on Thursday, July 5, 2012 get tickets now and ENJOY THE SHOW!